Helen Keller clearly hasn’t travelled with my good friend, Alan – with whom I am presently walking the Ribble Way. 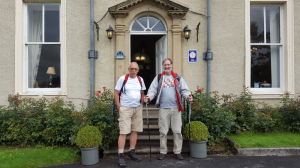 In fact, this blog comes to you from Waddow Hall, which we are about to leave for the final stage of our walk from Clitheroe to Preston. In fact, in a just 5 miles time we join the Tolkien Trial, commemorating the great man’s stay at Stonyhurst College, Here he wrote the drafts of some of his books. At this point in our walk I plan to share with Alan a quote from “the Lord of the Rings” in which Pippin warns Frodo: “Shortcuts make long delays.” I know; they always do. However, Tolkien wasn’t the first to write an allegory of the Christian life. That honour has to be awarded to John Bunyan, who wrote the Pilgrim’s Progress 275 years before the Fellowship of the Ring. This Bedford prisoner knows that we all love a shortcut, not least in the Christian life. It saves effort, it may save time but sadly it usually doesn’t save us. The very opposite, in fact. So Christian and Hopeful journey to the Celestial City, along a path which runs alongside a river – just like Alan and I. However, they soon find that the path turns from the river and becomes rocky and rough. It is hard going. I know the feeling. 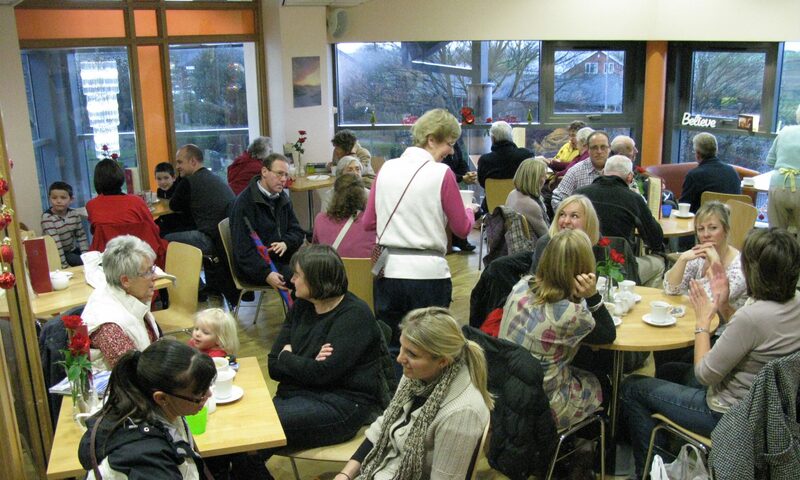 It happened yesterday at Hellifield. Suddenly, Christian notices a beautiful meadow with a smooth path running parallel to their own route as far as their eyes could see. It seems too good to be true but Hopeful has his doubts. However, Christian prevails, and the two of them cross the stile into the meadow. His judgement is supported by another traveller, Mr Vain–Confidence. He tells them that this smooth path will take them right to the City. Soon, however, Vain–Confidence falls into a deep pit so that Christian and Hopeful are afraid to go any farther. It is now getting dark, a storm is brewing and the river begins to overflow; their lives are threatened. As Christian and Hopeful try to retrace their steps, they get lost. Finding shelter they fall asleep to discover on awaking that they have been captured by the Giant Despair, on whose land they have trespassed. Imprisoned in his dungeon the pilgrims are beaten, starved and menaced. Thankfully Christian remembers his key of Promise which will open all the doors and gates of Doubting Castle. So they make their escape to rejoin the true way. So Jesus warns us. “Don’t look for shortcuts to God. The market is flooded with sure-fire, easygoing formulas for a successful life that can be practiced in your spare time. Don’t fall for that stuff, even though crowds of people do. The way to life—to God!—is vigorous and requires total attention. (Matthew 7: 13-14 in the Message translation). The biggest danger, of course, is that we try to bypass the cross and take the shortcut to glory. No one wants the pain, humiliation and shame of following Jesus. It would make life much easier, we think, if we leave the cross to one side. Why not take the broad and easy path? However, for the New Testament the cross and resurrection are inseparable. For as Paul reminds us “Now if we are children, then we are heirs – heirs of God and co-heirs with Christ, if indeed we share in his sufferings in order that we may also share in his glory.” (Romans 8:16f). So no short-cuts today. We simply follow the Ribble way blue signposts which take us to the celestial city, even to Preston railway station in time, we hope, to catch the 17.45 home. Previous PostPrevious When you need your father to finish. Next PostNext Where I am now on a foreign shore I stand every week.